A Russian mathematician claims to have proved the Poincare Conjecture, one of the most famous problems in mathematics. Dr Grigori Perelman, of the Steklov Institute of Mathematics of the Russian Academy of Sciences, St Petersburg, has been touring US universities describing his work in a series of papers not yet completed. The Poincare Conjecture, an idea about three-dimensional objects, has haunted mathematicians for nearly a century. If it has been solved, the consequences will reverberate throughout geometry and physics. If his proof is accepted and survives two years of scrutiny, Perelman could also be eligible for a $1m prize sponsored by the Clay Mathematics Institute in Massachusetts for solving what the centre describes as one of the seven most important unsolved mathematics problems of the millennium. Formulated by the remarkable French mathematician Henri Poincare in 1904, the conjecture is a central question in topology, the study of the geometrical properties of objects that do not change when the they are stretched, distorted or shrunk. For example, the hollow shell of the surface of the Earth is what topologists call a two-dimensional sphere. It has the property that every lasso of string encircling it can be pulled tight to a point. On the surface of a doughnut however, a lasso passing through the hole in the centre cannot be shrunk to a point without cutting through the surface meaning that, topologically speaking, spheres and doughnuts are different. Since the 19th Century, mathematicians have known that the sphere is the only enclosed two-dimensional space with this property. But they were uncertain about objects with more dimensions. The Poincare Conjecture says that a three-dimensional sphere is the only enclosed three-dimensional space with no holes. But the proof of the conjecture has eluded mathematicians. 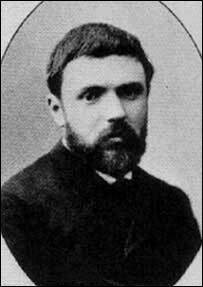 Poincare himself demonstrated that his earliest version of his conjecture was wrong. Since then, dozens of mathematicians have asserted that they had proofs until fatal flaws were found. Rumours about Perelman's work have been circulating since November, when he posted the first of his papers reporting the result on an internet preprint server. Since then, Perelman has persistently declined to be interviewed, saying any publicity would be premature. Dr Tomasz Mrowka, a mathematician at the Massachusetts Institute of Technology, said: "It's not certain, but we're taking it very seriously. "We're desperately trying to understand what he has done here," he adds. 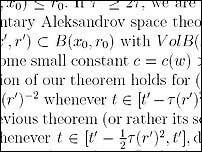 Some are comparing Perelman's work with that of Andrew Wiles, who famously solved Fermat's Last Theorem a decade ago. Indeed, Wiles was in the Taplin Auditorium at Princeton University, New Jersey, where he holds a chair in mathematics, to hear Perelman describe his work recently. Behind him sat John Nash, the Nobel Laureate who inspired the film A Beautiful Mind. What is all the more remarkable about Perelman's proposal is that he is trying to achieve something far grander than merely solving Poincare's Conjecture. He is trying to prove the Geometrisation Conjecture proposed by the American mathematician William Thurston in the 1970s - a far more ambitious proposal that defines and characterises all three-dimensional surfaces. "He's not facing Poincare directly, he's just trying to do this grander scheme," said Professor Peter Sarnak, of Princeton. After creating so much new mathematics, the Poincare result is just "a million dollar afterthought," he said. If Perelman has solved Thurston's problem then experts say it would be possible to produce a catalogue of all possible three-dimensional shapes in the Universe, meaning that we could ultimately describe the actual shape of the cosmos itself.